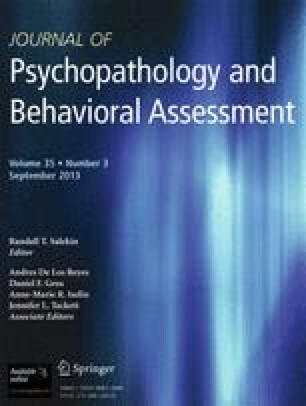 Causal attributions (i.e., locus, stability, globality) and responsibility attributions (i.e., bad intent, selfish motivation, blame) were assessed in the spouses of 27 depressed psychiatric inpatients and 30 nondepressed dyads to test predictions derived from Hooley's (1987) “symptom-controllability” model of marital distress. Results indicated that (1) depressed patients and their spouses were less dyadically adjusted than nondepressed spouses, (2) causal and responsibility attributions about depressive behaviors predicted lower dyadic adjustment, and (3) attributions of causality mediated the relationship between group status (depressed or nondepressed) and dyadic adjustment among spouses who had higher expectations for their partner to change. Results suggest that among spouses with a high expectancy for change, depression may be a risk factor for marital distress.